Assistants Needed for Final Push! – Circle CRM Group Inc. The snow has started to fly and that means the field season is slowly but quickly coming to a close. 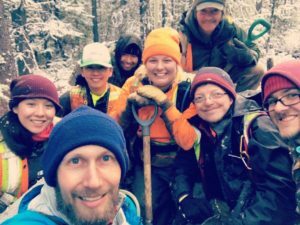 Circle is seeking some hard working individuals to help us out mainly on our BC projects; work would start as soon as possible and would continue through to the end of the season (approximately early November), though there is a possibility that work in Alberta would continue beyond that. Come join our team! Please see attached job posting; interested individuals should send a cover letter and resume to info@circleconsulting.ca. We thank everyone for their interest, but only successful applicants will be contacted.